WhatsApp is not available for Wi-Fi only devices and requires a phone number to work. The online messaging platform’s desktop version contains a folder titled “Tablet-iOS”, which hints that the company could be working on WhatsApp for the iPad. 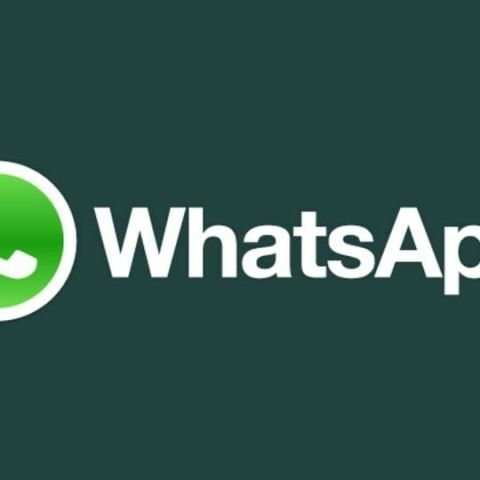 WhatsApp is reportedly said to be working on an iPad version of its app. WABetaInfo has found hidden references to the WhatsApp app for iPad in the WhatsApp Desktop version 0.2.6968 and they posted a screenshot of a folder included within the WhatsApp desktop code labelled “Tablet-iOS”. WhatsApp is currently not available for Wi-Fi only devices as the app needs a phone number to authenticate its users and work on the device. WhatsApp recently launched the “Delete for Everyone” feature which allows users to delete a sent message under 7 minutes from both the sender’s and receiver’s phone. A previous report claimed that the deleted messages could still be partially recovered and read on smartphones running Android 7.0 Nougat or higher. As per the report, the deleted messages are stored in an Android smartphone’s notification log even if the sender uses the ‘Delete for Everyone’ feature. Previously, a report tipped that an upcoming WhatsApp update will sport a new icon on the voice call screen, which will allow users to switch “seamlessly” from a voice to a video call without disconnecting. Users currently need to hang up an ongoing voice call in order to place a video call. As per the report, the app could also feature a “locked mode” for recording lengthy voice messages without the need for keeping the mic icon pressed. As per the report, pressing on the mic icon for 0.5 seconds to record a voice message will display a lock symbol. Swiping up on it will allow you to send audio messages without keeping the mic icon pressed.